Let me start by saying that I did not compile this entire list of hardware through trial and error. Most of it came from Jay Taylor’s excellent blog over at AMD, and a big thanks to him for starting me off in the right direction. I bought all the necessary parts for the base system following the links he provided. 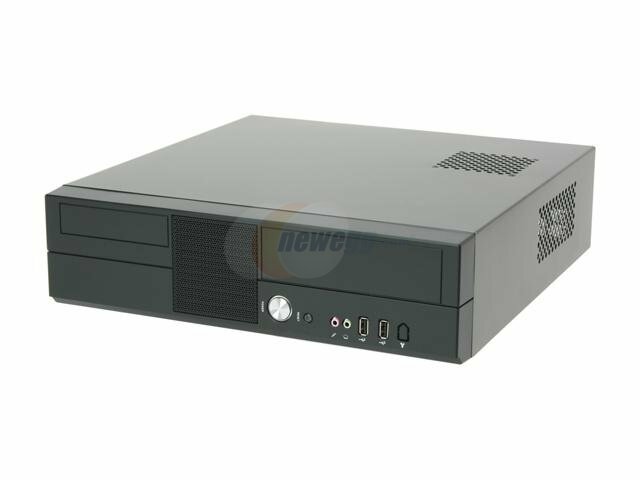 This includes the chassis, motherboard, memory, CPU, hard drive, and optical drive. Beyond that, I started experimenting. Buying my own tuner cards, remote controls, antennas, etc., and returning a lot of it until I found the right mix. While evaluating antennas, I tried an RCA amplified antenna that cost about $20. I was unimpressed. The signal was strong enough in a few locations, but it was generally a crap shoot. I then considered going to the other extreme and purchasing a Channel Master 4221, which got great reviews everywhere I looked. I even entertained the idea of building my own out of coat hangers. Both of these still might be future options, but in the end, a Terk amplified antenna in the $40 range seemed to serve my purposes. For those of you who have not yet jumped on the Digital TV bandwagon, I’ll point out that with the transition to digital, the channel numbers of your local stations have likely also changed. Most have migrated to UHF in the 20-40 range, so don’t expect to find them in their old locations. My choice of tuner card was driven by both positive user reviews and the strongly desired feature of a dual-tuner on a single card. Not only was the Hauppauge 2250 cheaper than buying two separate tuner cards, but it takes less power and space inside the PC chassis. I also don’t have to worry about a splitter to feed two antenna leads because the splitter is internal to the card. This is a very attractive design. The card worked very well with the included WinTV software, however, I did struggle to get the included Windows MCE remote to work. I will cover this in more detail in my next post on software, but the problem is that the IR receiver plugs directly into the Hauppauge card, rather than a USB port, so the included drivers do not make the remote work exactly like a Microsoft branded remote would. When it comes time to assemble your rig, I am assuming you know how to put a PC together (if not, you will find a bunch of step-by-step assembly videos on Jay’s blog), but here are a few lessons I learned that you might find helpful. The chassis is pretty small and cramped inside, so you will likely have to temporarily remove the power supply (it’s only a few screws) in order to mount the hard drive. The hard drive will come with a SATA cable that has a right-angle connector on one end. You will want to use this one as the motherboard connectors are pretty hard to get to once the hard drive is mounted. The power supply has a 2×2 power cable for the CPU (which attaches to the motherboard near the CPU socket), but the connector is a 2×4. Don’t let this confuse you (like it did me), just plug it into half of the 2×4 connector — it should only fit one way, so you can’t get it wrong. Looking good so far.What does the “Green” in the name of the Western Digital hard drive signify? Thanks.Western Digital claims their “green” drives have lower power consumption. I’m not sure if that is at the expense of performance or not. I have not had any issues with the drive so far, and I’ve put it through a couple of stress tests — recording over-the-air shows from both tuners simultaneously, while watching streaming content online — no hiccups. Nice work, just finished mine and went a slightly different route with a cheapie Atom 330 board and lowend video card (8400gs). Could never get reliable OTA recording (too many trees, long distance) so went with basic cable, and GBPVR. I guess I’m lucky to be 15 miles from all of our local stations. I’ve only had a problem with our local PBS station, but fixed that by rotating the antenna a little. Great article as usual, thanks for posting all this informative content on a regular basis.